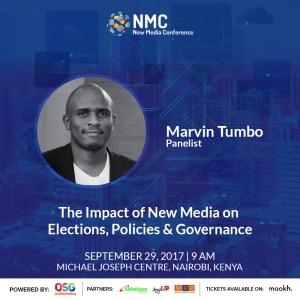 The speakers of the maiden edition of the New Media Conference – Nairobi have officially been unveiled. 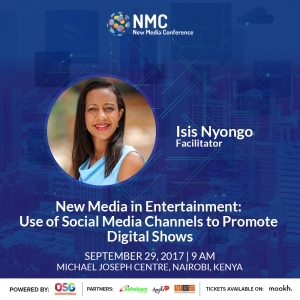 The conference which is collaboration between two of Africa’s leaders in digital marketing Olorisupergal and Anyiko PR has drawn key leaders in Africa’s digital space who will shape conversations around the theme of the conference: “Driving Kenya’s Socio-economic Transformation through New Media.” The conference is set to take place on the 29th September, 2017 at Michael Joseph Center, Nairobi from 9 a.m. to 4 p.m. The keynote speech at the conference will be delivered by Country Manager for Google, Kenya & Strategic Telco Partnerships Lead, Africa: Charles Murito, a high flying professional and trendsetter passionate to see growth in digital skills within the Kenyan digital space and beyond. Other notable personalities who will be leading panel discussions and masterclass sessions at the conference include Tilo Ponder, Cate Rira, James Smart, Marvin Tumbo, Isis Nyong’o Madison, Muthoni Maingi, Mohammed Hersi, Mikul Shah and Marek Fuchs. 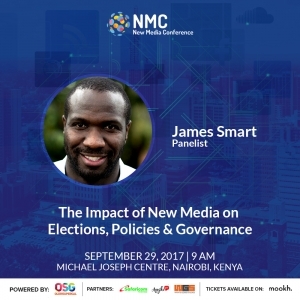 Kenya’s most prolific political commentator James Smart will join Marvin Tumbo, one of the most respected political strategist on the first panel of the conference: “The Impact of New Media on Elections, Policies & Governance”. The two media experts run Kenya’s latest political talk show taking the internet by storm – “Afro Politico Show”. Renowned radio presenter at Kenya’s One FM, Cate Rira will also be joining this session. The panel will be moderated by Cynthia Mwangi who is the Head of Radio – Hot 96 at Royal Media Services. 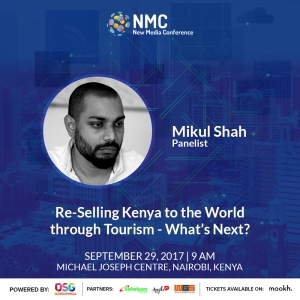 The second panel will be tackling one of Kenya’s biggest sector under the theme “Re-selling Kenya to the World through Tourism – What’s Next?” This panel will include renowned hotelier and Group Managing Director of Sun Africa Hotels, Mohammed Hersi and the CEO of East Africa’s largest online restaurant guide Eat Out: Mikul Shah. 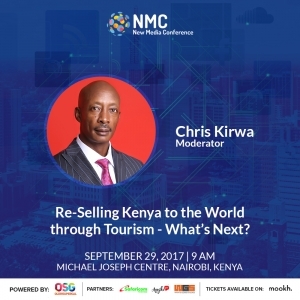 Renowned events guru and COO of CateChris Limited, Chris Kirwa will be moderating this session. 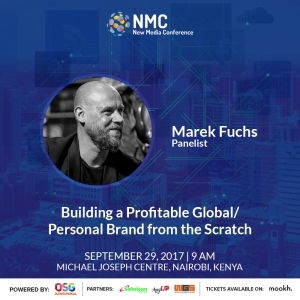 The third panel will be addressing “Building a Profitable Global/Personal Brand from scratch”. The panelists will include Nigeria’s Queen of Online Courses, Stephanie Obi who uses her website to create and sell online courses. She will be joined by Marek Fuchs, the manager of Africa’s most celebrated music group Sauti Sol. His expertise in the entertainment industry cut’s across the business of music in Africa, branding and marketing in entertainment and sports, artist management and business strategy. 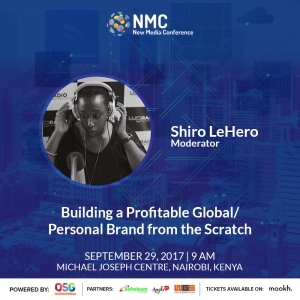 This panel will be moderated by the multi-faceted radio presenter, event organiser & online TV host on Whats Good Live, Shiro LeHero and Fundi Frank. 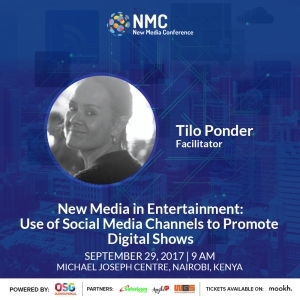 The conference will also include a master class session on “What is Digital Marketing for your business?” with Tilo Ponder, CEO and Co-Founder of What’s Good Networks as the session’s facilitator. Tilo is a Content Strategist and Media Specialist heading up all What’s Good Studios business units which have grown into full-fledged digital content studio. 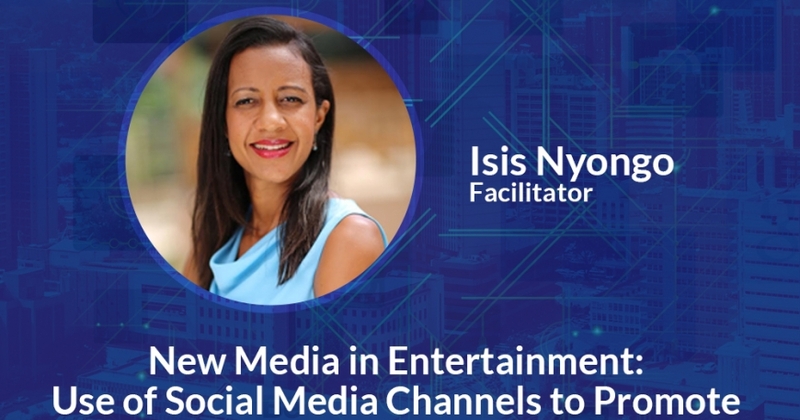 She will be joined by one of Africa’s business leaders and founder of Mums Village – a media platform designed to inform and enrich the lives of women who are rapidly coming online in Africa, Isis Nyong’o Madison. 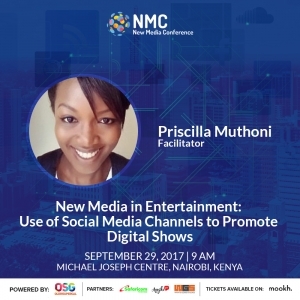 This session will also include Muthoni Maingi who is a leading African Digital Marketing Strategist and the current Digital Manager overseeing Enterprise and Consumer Business Unit at Safaricom. In this role, she successfully launched two new brands: Little and BLAZE. The renowned digital conference is founded in Nigeria by leading digital and communication expert, Tosin Ajibade, founder of Olorisupergal.com, the Nairobi maiden edition is aimed at sparking conversations that will enlighten key stakeholders in media, entertainment and business regarding developments in the digital space and how to maximize or stretch their capacity for more impact. The conversations will be held across industries and niches such as Technology, Elections, Policy and Governance, Tourism, Entertainment, Healthcare, Agriculture, and Payments.